On Mondays she sculpts with Clay Lumpkin. On Tuesdays she does water ballet with Miss Goldfisher. On Wednesdays she knits with Mrs. Pearl Stitchem. On Thursdays she takes tuba lessons with Mr. Oompah. On Fridays she yodels with Little Old Lady Hoo. On Saturdays she studies karate with Grand Master HiYa! And on Sundays she practices yoga with Guru Prakash Pretzel. Her well-meaning, busy parents have packed her after-school hours, turning Ernestine into the over-scheduled poster child of today. But Ernestine is about to opt out and do what no Buckmeister has ever done before: just PLAY. Lodding makes her children’s book debut with an addition to the growing bookshelf of titles about overbooked and overworked children. And like many of its predecessors, its message is more for the parents making the schedules and paying for the after-school classes than for kids who, like Ernestine, innately know that bouncing on a trampoline and playing imaginary games outside beats an exhausting week packed with organized activities. Both Lodding and Beaky (the Hailey Twitch series) deploy abundant humor to make the story’s earnest message more palatable. Lodding’s prose is studded with punny quips and names (Ernestine’s instructors include sculptor Clay Lumpkin, yodeling expert Little Old Lady Hoo, and yoga guru Prakash Pretzel). For her part, Beaky provides acrylic caricatures that really take off once Ernestine and her nanny start to mix up her schedule (Ernestine is seen playing tuba during swim lessons and accidentally giving her knitting teacher a karate kick) and when Ernestine’s parents try to track her down after Ernestine and Nanny O’Dear play hooky on a grassy hilltop. One day overscheduled Ernestine bails on her lessons to do something outrageous: play. The book has a capital “M” message but also lots of heart. Plus, there’s amusement in Lodding’s text (e.g., a yodeling teacher named “Little Old Lady Hoo”) and in Beaky’s acrylics (e.g., Ernestine’s fully clothed mother holds up a sign underwater asking Ernestine’s swimming instructor where her daughter is). What does it mean to “live life to the fullest”? Young Ernestine Buckmeister’s parents pack her schedule, with a different activity daily after school, with yoga and karate on the weekend. They’ve even hired brusque Nanny O’Dear to keep her on schedule. 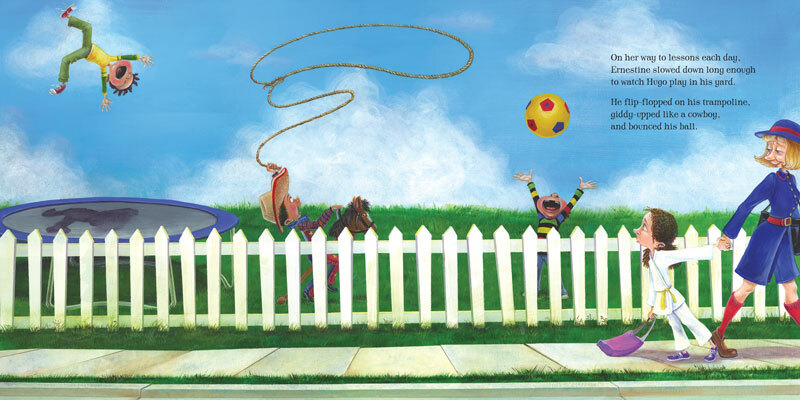 As mother says, “Make every moment count!” Ernestine has no time to play, though it’s clear from her longing looks at neighbor Hugo and his soccer ball that she wants to. The big schedule board that covers a wall of her bedroom fills her with dismay. One afternoon, Ernestine rushes out the door past Nanny, shouting, “Today I scheduled something new!” It’s a trip to the park, to play with other kids. When the yodeling teacher calls home to report Ernestine’s absence, the news sends her parents into a tizzy. 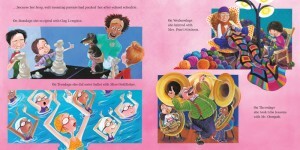 They visit all her activities, from knitting to water ballet to tuba practice. Just following in their daughter’s footsteps exhausts the Buckmeisters, and, when they spot her in the distance, they barely have enough energy to trudge up a hill to meet her. Both Ernestine and Nanny seem happy and renewed. From that day forward, sometimes it’s activities, and sometimes…”she just played.” There’s great energy in both Lodding’s storytelling and Beaky’s bright acrylic illustrations. The valuable lesson is all the more effective for being shown, and not preached—though perhaps it’s meant more for adults than the children they are reading to. Ernestine has a full schedule. Every day after school, she has a different lesson with a different teacher. Mondays, it’s sculpting with Clay Lumpkin. Tuesdays, water ballet with Miss Goldfisher. On Sundays, Ernestine has yoga with Guru Prakash Pretzel. During one of her meditation sessions, she has an idea. She convinces her Nanny O’Dear to play in the grass on the hilltop with her. When her parents finally catch up with the pair, she talks them into slowing the pace a bit. Beautiful acrylic illustrations in vibrant colors show the child’s myriad activities and frenzied lifestyle. However, the story seems to be written more for parents than children. Taking time to play without a schedule is one of the overarching themes here, but Ernestine seems to realize this all along. The illustrator has created beautiful and detailed artwork that really helps emphasize Ernestine and her crazy life. The images are creative and funny. Children … will delight in the moral of the story: Sometimes a kid just needs to have time to play, have fun, and exercise only the imagination. …This will be a fun story for kids to read to their parents. The comical illustrations will have readers engaged. A good read aloud…. Ernestine Buckmeister is a very busy girl. Her parents have every minute of every day planned out for her with the hopes that she “lives life to the fullest”. In the end everyone learns that finding time to play is part of “living life to the fullest.” Children can easily relate to Ernestine’s over-scheduled life and will enjoy the beautiful illustrations. It’s sure to be a favorite. Ernestine’s busy parents sign her up for every class and lesson in town and hire a nanny to keep her on schedule. 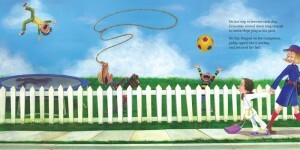 But Ernestine envies her neighbor Hugo, who entertains himself playing in his yard. So she “schedules” some free play time and draws Nanny O’Dear into the magic. After a funny, frenzied search to find the off-schedule pair, her parents not only agree to compromise but discover the joys of imaginative play for themselves. Delightful! First, I really like the illustrations in this book. They fully convey the emotions everyone is feeling and they are cute. Secondly, this serves as a good reminder to let kids be kids, to be careful about how much we sign them up for. Last, I think it could serve as a teacher for children to try to have an open communication with their parents about their wants, hopes, goals, dreams. Given my love for books — my time at the Child Life Conference did not disappoint! I was introduced to numerous books that I cannot wait to get my hands on! One of the books that I ordered as soon as I arrived home is entitled, The Busy Life of Ernestine Buckmeister, by Linda Ravin Lodding. This is a must have for any parent who values play! Children today are not given the opportunity to imagine, create, and explore. Instead, to much for their time is scheduled with various activities and high expectations. This book explains how Ernestine was able to get to the important stuff like rolling down a hill, building a treehouse, and explore with her friend. When children are not able to play outside, explore their world, and interact with others their cognitive, emotional and social development is impacted in a negative way. Lodding and illustrator Suzanne Beaky have created a quirky, funny story that reinforces the importance of free, unstructured play. Ernestine Buckmeister is a busy young lady. Her well-meaning parents have scheduled nearly every minute of her after school life. The Busy Life of Ernestine Buckmeister, by Linda Ravin Lodding, is a funny story about a girl with too much to do. On Mondays she has sculpting class with Clay Lumpkin. On Tuesdays she practices water ballet with Miss Goldfisher. On Wednesdays she knits with Pearl Stitchem. On Thursdays she plays the tuba with Mr. Oompah. On Fridays she yodels with Little Old Lady Who and her weekends are filled with karate and yoga practice! Ernestine has no time to play. One day she decides to make her own schedule. She drags her nanny to the park and together they make daisy chains, build a fort, and have fun in nature. Hilarity ensues when Ernestine’s parents search for her, visiting the locations of each of their daughter’s lessons. Will they ever realize why Ernestine always seems so frazzled? Parents and children will appreciate the lesson that there should be balance in life – time for lessons and time for playing. Suzanne Beaky’s acrylic illustrations are masterful and truly enjoyable. Each page holds new details to discover. This book is bound to become a family favorite. This debut picture book makes its point perfectly…. The illustrations… show a frenzy of activity…. A helter-skelter of varying perspectives, diagonal lines, falling objects, and crowded calendars sporting Post-It notes all contribute to the frantic mood of the story…. The folks who really need to read this book are those parents out there who are so determined that their children live life to the fullest and make every moment count that they over schedule their lives, leaving them little time to just be kids. Ernestine’s parents are like that. Ernestine has a packed schedule, with different activities every day. As she dashes off to one class or another, she looks longingly at the little boy next door, playing independently in his yard. One day when she revolts and schedules some play time in the park instead of showing up at her usual class, her parents make the rounds of all her classes trying to locate her. Before they finally do locate her, they’ve gotten a taste of how exhausting Ernestine’s usual schedule is, and the family makes some changes, with some new ideas about what it means to live life to the fullest. The illustrations are bright and silly, adding to the sense of absurdity to it all. Just the title, The Busy Life of Ernestine Buckmeister made me want to read this book. Written by Linda Ravin Lodding, this is a story written as much for parents as it is for kids….In this age of overachieving children and over-parenting parents, this book teaches a valuable lesson – that kids are kids, and they need their playtime. In addition to the wonderful storyline, you and your child will love the fabulously creative and colorful illustrations by Suzanne Beaky as much as I do. If you are the type of parent who over-schedules your children’s activities, this book will make you see things in a new and brighter light. You’ll want to take your child and run through a park, throw a ball or just sit on a blanket and look up at the clouds together. Ernestine Buckmeister teaches you there’s simply no better way to spend your time. After juggling a different activity each day of her overscheduled life, Ernestine breaks free for a day of playing at the park, reminding kids and adults alike about the importance of including fun and simple childhood wonder on every agenda. This book is a joyful and funny reminder to kids and parents alike about the importance and power of play. …Our children will all be happier and healthier if we lessen all those lessons and get out to play.–Darell Hammond, New York Times best-selling author and CEO of KaBOOM!, a national non-profit dedicated to creating community play spaces within walking distance of every child in the US. Linda Ravin Lodding teaches an important lesson in her story without being didactic, but with charming characters and happenings. The brilliant illustrations of Suzanne Beaky are an absolute treat, full of fun and telling details in bright colors. In her new book, The Busy Life of Ernestine Buckmeister, Netherlands-based author, Linda Lodding gives us a glimpse into Ernestine’s world of rigid schedules, where afterschool time is spent exclusively on taking more classes. What Ernestine really longs to do is play in the park with her friends. This book, which reminds us that a happy life is a balanced life, is a delightful read that is enhanced by a cast of colourful characters and humorous illustrations by Suzanne Beaky. … thought The Busy Life of Ernestine Buckmeister by Linda Ravin Lodding quite fabulous. More of a cautionary tale for adults at the amusement of children than just a children’s story book, it was engaging and fun, and had the kid’s best interest at heart. I think its easy for parents these days to over-schedule their children’s extra curriculars, and this book clearly helps define the line between living life to the fullest and creating a hot mess of a child’s day-to-day schedule. An effective children’s story will reach and hold the interest of the intended audience and the (adult) reader and the beautifully illustrated The Busy Life of Ernestine Buckmeister hits close to home. While my husband and I try and strike a good balance in giving our daughter lots of independent play, I realized that it was me who is no stranger to overextending myself at times in my life and I really want to make sure to scale back when I do because I do not want this bad habit to rub off on my daughter. In fact, I am going to take Ernestine’s advice and will start relaxing a bit on my daily Momma’s Bacon blog posts. I would so love to do this blog as an actual career with multiple daily posts, but the reality is this is a fun, non-paying (passionate) hobby that I love -and maybe even one day it could be a career – but right now it does take a lot of time in between my work and family duties and I think my readers would understand if I only posted a few times each week instead of every day. In the (paraphrased) words of Paul Simon’s “The 59th Street Bridge Song (Feelin’ Groovy)”, I’m going to slow down since I’ve been moving too fast. My readers are probably a lot like myself; have a full-time job to pay the bills on top of trying to be the best spouse and parent they can be and sometimes we can forget to take time to relax without any self-inflicted deadlines. If any of you have children out there who can relate to being too busy or this hits home personally as a parent, you will love this read and Ernestine Buckmeister’s outlook in taking control of her too busy life. The Busy Life of Ernestine Buckmeister is about a young girl whose schedule is filled with lots of fun and interesting after-school activities that leave her no time to sit and think with her own relaxed, free-spirited play. She feels overbooked and overworked and since her life is just following in the footsteps of her own busy parents (Ernestine has a nanny to help her keep track of all her activities! ), Ernestine has decided to take matters into her own hands by skipping out on her classes to give herself a moment to just breathe. Living life to the fullest for Ernestine is not filling every moment with a scheduled activity and her parents (who do realize they are also completely exhausted after going into a tailspin) have the sense to give Ernestine the ability to cut down on her scheduled life going forward and give her time to just play. This as a great read for both parents and children and don’t forget to take a look at your own busy schedules for any ways to cut down to maximize your family’s own personal play time. The Busy Life of Ernestine Buckmeister is a hilarious picture book about an overscheduled girl. Ernestine has the most absurd after school life you can imagine, but never time to do the things she actually wants, her parents think it is best for her to do as much as possible educational en engaging activities, not keeping in mind that Ernestine can be tired after school or just wants to play ball with Hugo. An important message for all the parents in the real word who overschedule their children’s after school life these days. 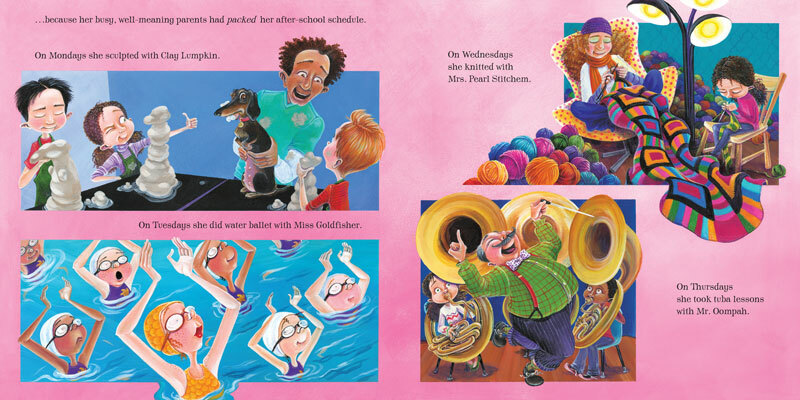 All of Ernestine’s teachers have a name that suits with the activity they teach: Tuba lessons by Mister Oompah, Yoga by Guru Prakash Pretzel and karate with grand master HiYa. The book is illustrated beautiful by Suzanne Beaky. I think every reader, young and old, will fall in love with this colorful book! What a fun and entertaining book this is. …There’s lots to do in life that’s lots of fun, but Mr. and Mrs. Buckmeister find out the hard way that too much stuff to do, and not enough time for play and relaxation, can cause anyone to be a bit frazzled. This is a charming book that parents can laugh with and learn from as they’re reminded of what it’s like to be a kid. Kids will enjoy Ernestine’s ridiculous schedule, her amusing list of lessons, her teachers’ funny names, the bold bright colors of the pictures, and Ernestine’s inspired solution to her problem. In this story the author captures the chaotic life of most children and their parents… The illustrator has created beautiful and detailed artwork that really helps emphasize Ernestine and her crazy life. The images are creative and funny. So many kids would be able to relate to Ernestine’s dilemma, from elementary-aged children all the way through high school. The activities may be different, but the feelings are the same. Play Mom blogger Michele Whiteaker said: I like the happy illustrations and especially the rich imagination that comes to life on the play pages with funny pets and funky facial expressions. What I really love is the message that sometimes what’s best for our kids is time to play. The Importance of Being Ernestine: Think you know what it means to be over-scheduled? Think again. My Flashlight Press preview copy of The Busy Life Of Ernestine Buckmeister by author Linda Ravin Lodding came in today’s mail and I cannot wait until October, when Ernestine makes her debut on the children’s literature stage, and you get to meet the queen of the extracurricular. The scene is all-too familiar: this precious prodigy can’t ever play with her friend over the fence because she’s rushing off to the next event on her calendar, kindly kept by Nanny O’Dear. Her parents, who’ve advised “live life to the fullest” and “make every moment count,” have her scheduled solid with something extra every day of the week – sculpting and swimming, taking musical arts and martial arts, yodeling and yoga, knitting and no free time. She is one busy beaver! And guess what? Just like a beaver, she’d rather be playing around outside. So Ern concocts the perfect plan to ditch her personal PDA and, when she doesn’t show up on schedule one day, her parents get to walk in her shoes for a spell, crossing the bridge she built between what the child-in-her needs and what her parents want for their little girl. Not only do they get a healthy dose of empathy, but they ultimately learn a very valuable lesson about the importance of being Ernestine. The eye-catching illustrations by Suzanne Beaky totally pop off of the pages, adding a marvelous magic to this terrific text. Put this one on your wish list; it’ll undoubtedly serve an important reminder (that you’ll want to revisit time and time again!) about encouraging your busy beavers to engage in purposeful play. Lodding’s tongue-twisting names, hilarious text, and lessons on the importance of play are complimented by Suzanne Beaky’s whimsical illustrations. It’s a combination that immediate attracts and then sustains the readers’ attention to create a lasting story that lets us all find personal connections. Ernestine is sure to earn her place among such classic literary heroines as Clementine, Eloise, Madeline, Ramona and Junie B. Jones! …The text is filled with lively action and the illustrations are fun with a bit of whimsy. I could see it as a huge favorite in library story time, and what child wouldn’t like seeing the story child teach the parents something new? From The Childrens Book Review …Linda Ravin Lodding’s amusing send-up to overscheduled children who don’t have time to frolic and just enjoy being kids imparts a very wise lesson disguised as a comic adventure tale…. Suzanne Beaky’s lightheartedly silly illustrations, of Ernestine’s teachers like Pearl Stitchem, Grand Master Hi Ya and Mr. Oompah, make this book even more playful and fun. …amusing send-up to overscheduled children who don’t have time to frolic and just enjoy being kids imparts a very wise lesson disguised as a comic adventure tale. …While the book’s message can be sobering, The Busy Life of Ernestine Buckmeister is far from serious. This lighthearted story will entertain any elementary school-aged child as they read about Ernestine knitting with Mrs. Pearl Stitchem and practicing yoga with Guru Prakash Pretzel. The illustrations by Suzanne Beaky are bright and engaging. …This book is packed full of character lessons around goal-setting, communication, integrity, social skills, time management, planning, decision-making, and family relationships. It’s a great tool for teachers, counselors, librarians and parents. …The book is entertaining but also offers food for thought on just how we plan our time with our children. What is important to you and your child? The story will be read over and over again bringing an opportunity for frank discussions about what activities matter and what can be changed or eliminated .Take time to read this with your child today. You will be glad for the moments shared. This is a charming book to share with kids and parents as the new school year gets underway. There will be many new things kids will beg to get involved in, but wise parents will make room for lots of “free” time as well. This would be a great book to add to a school lending library. …The Busy Life of Ernestine Buckmeister… embodies what I believe is so vital for children. It’s done in such a fun way. I loved the idea of losing track of what you are supposed to be doing, when, and where. I get being that nanny who needed to juggle it all. I understand the child saying no to it all, and the caregiver supporting her in her decision! The illustrations by Suzanne Beaky are fabulous. My charges love them. To us they added so much to the written words I read to the children. They are colorful and funny. I also am pleased to announce that when I was in a vintage store recently I came across a hat that looks very similar to Nanny O’Dear’s. It now sits on my mantle at my home.This is a great book for children and their parents. Also, when a nanny colleague looked at it the other day she smiled and said, “I must get a copy of this book too. This books is a a brilliant reminder of what truly is important and where the true joys of childhood are found. This is a great picture book that should appeal to today’s over-scheduled child. …I really like the goofy illustration style of this. This would be a great book for the parents of these over-scheduled kids! My son and I really enjoyed meeting you at The English Bookshop on Sunday. Your book has become a firm favourite with my little people. The message is joyful, playful and real in this busy world. Personally, I felt so inspired by you. I have been writing for a while now and recently attended an event about getting your book published. I was very disheartened. After meeting you I have worked on my two stories again and feel more optimistic that some day a child other than my own will enjoy them! Thank you so very much for your story and Ernestine’s. What an adorable book! It teaches all of us a very valuable lesson. Sometimes it’s best to just play and not be overscheduled. This book is perfect for elementary students and all of us type “A” moms who need to be reminded our little ones just need time to play! 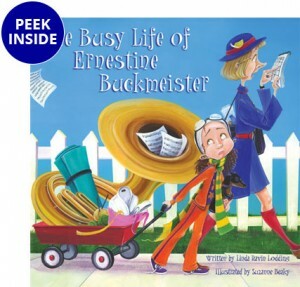 Linda Ravin Lodding is the author of The Busy Life of Ernestine Buckmeister, illustrated by Suzanne Beaky. 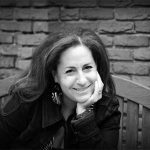 Originally from New York, Linda has spent the past 20 years in Austria, the Netherlands, and Sweden, where she now lives with her family in Uppsala. Since her first picture book, The Busy Life of Ernestine Buckmeister, she has written A Gift for Mama which received a starred Publishers Weekly review and was featured in the New York Times, Painting Pepette which received a starred Booklist review, The Queen is Coming to Tea, and has several more picture books coming out soon. When Linda is not writing or doing school visits, she works as a Head of Communications for a children’s rights organization. 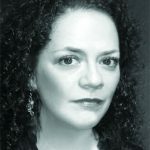 Suzanne Beaky is the illustrator of The Busy Life of Ernestine Buckmeister, written by Linda Ravin Lodding. Suzanne grew up in Gahanna, Ohio, and studied illustration at Columbus College of Art and Design. Her expressive illustrations are commissioned by children’s book, magazine, and educational publishers worldwide. She received the Mentorship Award from the Society of Children’s Book Writers and Illustrators in Missouri. Suzanne lives with her husband in Huntingdon, PA. See more of her artwork on her personal website. Print Play Date cards for your kids! Error: Error validating access token: Session has expired on Sunday, 23-Sep-18 01:36:16 PDT. The current time is Friday, 26-Apr-19 01:23:24 PDT.